Report On the Boulevard. Learning from loving L.A. Does the Mojave define anything more than a set of human attitudes to a particular piece of territory that we have agreed (or not disagreed) to call deserta? 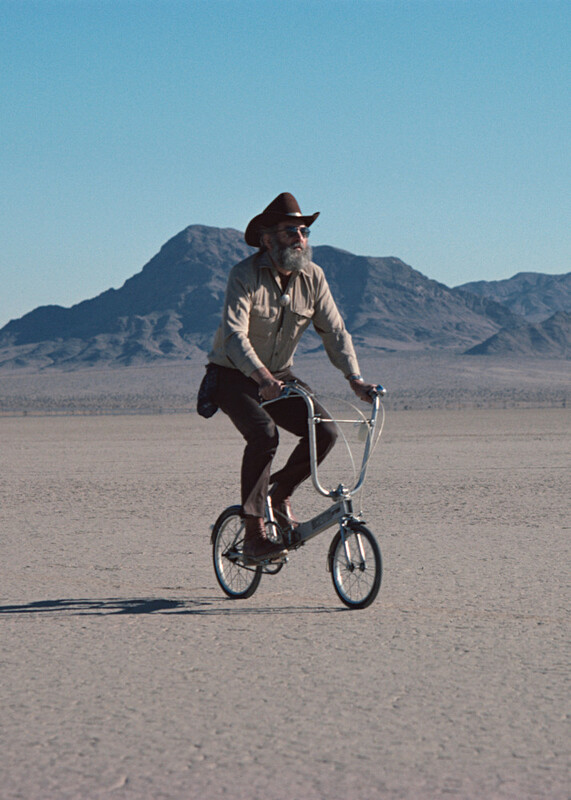 In “Scenes in America Deserta”(1), Reyner Banham confronts himself with the desert for the first time, while crossing the Mojave travelling from L.A. to Las Vegas. Banham describes himself as “culturally naked and ill-prepared” in front of this landscape, and searches for answers in order to understand this new physical reality. The book is, above all, a visual description of the desert, rooted in the earlier volumes, The Desert (2) and Travels in Arabia Deserta (3). Describing the desert, Bahnam ponders on its aesthetic perception as well as on its very essence, leading him to expand the idea of desert beyond its primary physical condition, to its conceptual definition as a man-made cultural creation. (…) It is the best-known, most visited, and most studied of American deserts; but it is also, in an important historical sense, the most reliably typical of American deserts, the national standard. Lionel Pincus and Princess Firyal Map Division, The New York Public Library. "Map of an exploring expedition to the Rocky Mountains in the year 1842 and to Oregon & north California in the years 1843-44" New York Public Library Digital Collections. Accessed March 23, 2016. “Ultimately, deserts are man-made in what may be a culturally important sense. The Mojave may be my desert of definition, but all deserts are deserts by definition. Not definition by statistics and norms – there are areas drier and less populated than many reputed deserts that no one ever speaks of in those terms. (…) This is more a question of reputation; the very word desert is a human value judgement. I say “value judgment” deliberately: we dub territories “desert” almost regardless of their ecological performance. (…) I notice that we seem to need continually to remind ourselves that deserts are not sand, and that “deserts are really teeming with life”. The Mojave may be seen as a desert only because it is the last identificable remnant of the deaded legendary Great Basin. If it had been somewhere else, it might – just – have fallen under some different classification. Ultimately, desert is a concept of, and about, people. The word originally meant “unpopulated”; that is the primary sense given by the Oxford dictionary and many others. That is why the world’s most prestigious desert was labelled on old maps Arabia Desert, and why Doughty is such a valuable corrective to ingrained misconceptions – for his Travels are crowded with all kinds of human beings, settlements, and tribes. The other common root meaning of desert as a verb should also be keep in mind: “to leave”. Arabia was “deserted”, even if the Latin deserta is not necessarily a past participle in the normal sense. The people had abandoned that classic desert, just as they were to abandon the North African coast lands. The ultimate definition of a true desert may yet prove to be concerned with the number and type of people present, and what they think they are doing there. Wright constructed the camp to observe the construction of the San Marcos of the Desert hotel project, which was stopped because of the Wall Street crash of 1929. The camp was abandoned, and the following winter, the desert nomads, Indians looted the camp “for their own structural purposes.” Preserved black-and-white photographs display typical desert architecture themes: the horizontal of the protective compound against the vertical of the saguaro cactus, the view from the fragile interior into the rugged nature, the draftsmen working under the textile canopy, and the architect playing piano in his textile room furnished with textile foldable chairs and Navajo rugs with typical nomadic patterns. On the other hand, the photograph of the mockup of the hotel project made with “textile blocs” right next to the genuinely modern textile architecture bespeaks the Semperian, Central-European affiliations of Frank Lloyd Wright. Cover image: Reyner Banham cycling on Silurian Dry Lake by permission Tim Street-Porter. © Tim Street-Porter 1981-2014. All rights reserved. All quotes by Banham, Reyner, Scenes in America Deserta (Original edition: Penegrine Smith Books, 1982. Second edition: MIT Press, 1990) pp: 191-192, 204-206. Banham, Reyner, The Wilderness Years of Frank Lloyd Wright (originally published in RIBA Journal 76, December 1969, pp512-518) here quoted according to Banham, Mary (ed. ), A Critic Writes (Berkeley and Los Angeles: University of California Press, 1996) pp137-151. Reyner Banham (Norwich,1922 – London, 1988) was one of the most influential architectural critics and historians from the mid-1950s, best known for his theoretical treatise Theory and Design in the First Machine Age (1960) and for his book Los Angeles: The Architecture of Four Ecologies (1971). He received his doctorate from the Courtauld Institute of Art, supervided by Nikolaus Pevsner. He formed the Independent Group at the ICA together with Richard Hamilton and Eduardo Paolozzi among others, and was Executive Director of The Architectural Review, until 1965. 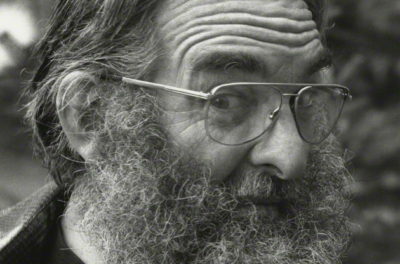 Banham taught at the Bartlett School of Architecture, University College London and the State University of New York, and through the 1980s at the University of California.